In most cases, the improved home hygiene routines and regular preventive care available to dentistry patients are considered to be good news, but there is one small downfall to patients being able to keep their natural teeth for life. Over time, even the most meticulous brusher and flosser can begin to see signs of dental wear and discoloration. 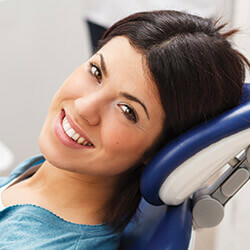 It’s no surprise that cosmetic dentistry has become increasingly popular in recent years. Dr. Daniel Berquist and Dr. Joseph Ornelas offer a variety of cosmetic dentistry services for patients from La Porte County. Veneers are a popular cosmetic service because they make it possible for our team to conceal a number of small flaws in just a few short visits. After removing a minimal amount of tooth enamel from affected teeth, impressions are taken to be used by our dental lab to craft a custom porcelain veneer. 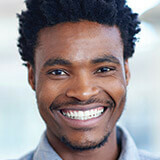 Until the custom solution arrives, patients are fitted with a temporary veneer to protect the prepared teeth. When the final porcelain veneer is returned to our office, patients exchange the temporary restoration for a flawless smile. In the past, porcelain-bonded to metal crowns, inlays, onlays, and fixed bridges were the most natural looking dental restoration material. Over time, as the porcelain was worn down, the darker colored metal below became visible, leading to dark spots and bands around treated teeth. Additionally, patients with sensitivities to metal were often unable to successfully receive porcelain-bonded to metal restorations, as they could trigger an adverse reaction. Metal-free restorative materials are the ideal solution for patients who want to fully restore the form and function of their damaged smiles without risking rejection due to metal allergies. These restorations are crafted from individual blocks of ceramic, so there is reduced risk for cracking or fracturing over time. Since the entire restoration is shaded to match the tooth, there is no discoloration as the restoration wears away over time. Direct bonding makes it possible to correct or conceal these and other irregularities in a single appointment for a fraction of the cost of veneers. Most patients don’t even need local anesthesia to complete this quick, painless procedure. However, bonding is not right for every patient. If you’re interested in finding out more about bonding or other cosmetic dentistry services at Region Dental, contact our friendly team to schedule a cosmetic dentistry consultation today.